Although few of us have actually encountered a red fox in real life, they're one of the most prevalent animals in the world—they can be found on every continent (with the exception of Antarctica!) and have learned to thrive in urban, suburban, and rural settings alike. How? They're incredibly resourceful and can quickly adapt to new environments. Want to learn more? Check out these cute pictures of red foxes, and learn fascinating facts about one of the planet's most prevalent animals. Across the globe, red foxes cover more geographic ground than any other animal in the order Carnivora—like we said before, they can be found on every continent except Antarctica. Red foxes naturally live in scrub and woodland, but their flexible diets can help them adapt to a wide range of environments. If a red fox found herself in an urban setting, for example, she'd likely learn to survive on food scraps, pet food, and even garbage! Likewise, red foxes can survive solely on plant-based foods in areas where there isn't enough prey (think rabbits, rodents, birds, bird eggs, and amphibians) to sustain their carnivorous diets. Although red foxes are often brutally hunted for their fur, there is some good news in terms of red fox conservation: The International Union for Conservation of Nature categorizes red foxes as the "Least Concern for Extinction," and even includes them in the list of the world's 100 most invasive species. Go, red foxes, go! It may come as no surprise that foxes are related to wolves and dogs. But, unlike their canine relatives, foxes are not pack animals. Rather, they live in small families while they raise their young—most commonly called a "leash of foxes" or a "skulk of foxes"—and reside in underground dens. After they've finished raising their litters, foxes tend to survive on their own. Like cats, red foxes are most active at night. Their vertical pupils enable them to see clearly in dark or dim light. Red foxes and cats share the same hunting style—both stalk and pounce on their prey. Foxes are the only member of the family Canidae that can climb trees, and like cats, sometimes sleep in trees' branches. Grab your lab coats, folks. It's time for a little bit of biology. We all know foxes are extremely skilled hunters, but do you know how they hunt so efficiently? Scientists have discovered that foxes can actually see the earth's magnetic field—and utilize it to stalk and hunt their prey. Here's how it works: Foxes see the earth's magnetic field as a shadow in their field of vision. When that shadow aligns with the sounds of their prey, they pounce. Pretty amazing, right? A red fox's bushy tail isn't just cute—it serves as a sort of multi-tool, too. Not only does a fox's large tail help her keep her balance, but it also acts as protection from harsh, winter weather. If a red fox finds herself in a cold or snowy climate, she can wrap her bushy tail around herself for added warmth. There's actually some truth behind the 2013 viral hit "The Fox (What Does the Fox Say? )"—foxes are actually pretty talkative! They're known to produce about 40 different vocal sounds to communicate with skulk members. If you kind of like dogs and kind of like cats, a red fox may be the perfect pet for you—they share traits with both animals, after all. And, thanks to a Soviet geneticist named Dmitry Belyaev, you can purchase a domesticated fox to keep as a pet... for a measly $9,000 or so. During the 1960s, Belyaev bred thousands upon thousands of foxes, until he developed a fully domesticated fox. Foxes have been tamed before—or have learned to tolerate humans—but domesticated foxes are amenable to humans from birth. Whether you bring a domesticated fox into the family or just happen to see some red foxes in the wild, you're bound to notice how curious, friendly, and playful they can be. 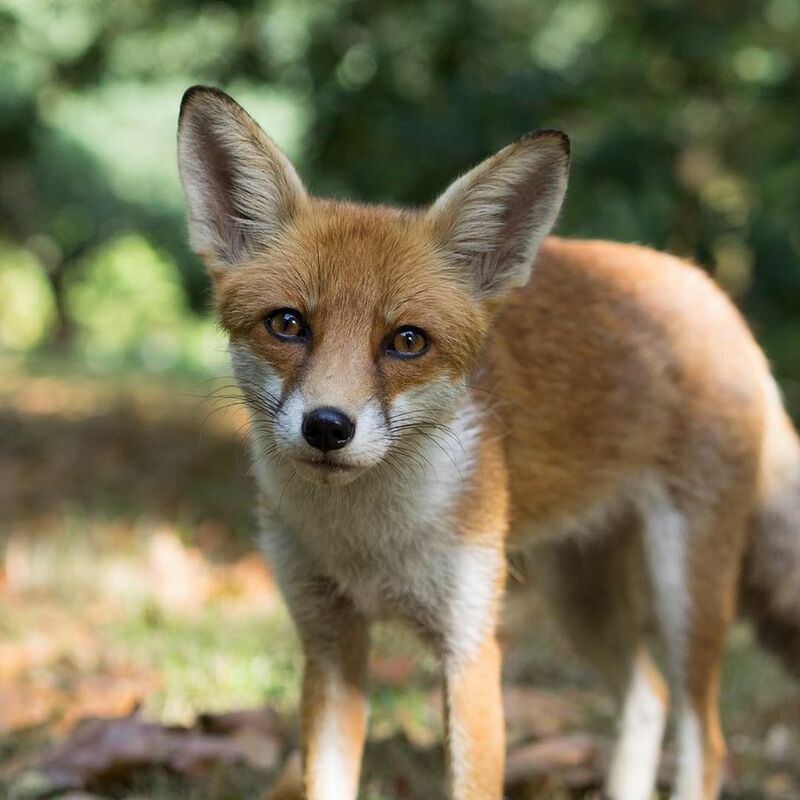 Not only do red foxes love to play with each other, but they're known to steal balls (among other toys) from backyards, golf courses, and sports fields, too.